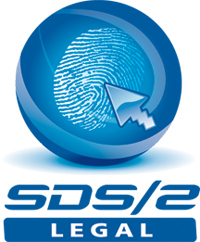 Consumers who purchase cracked versions of SDS/2 — and the recipients who choose to use companies or individuals with pirated / alternative market software — face many risks, including receiving an incomplete or tainted version, or a version that may contain multiple viruses. In addition, acquiring pirated software can open up the users' computers to hackers. Imagine what would happen if a job is fabricated on cracked software, resulting in costly errors or, even worse, the building falls down? Who do you think they will sue? Who will they collect from, an unlicensed user or the business that uses them? The risks and exposure to criminal charges or civil litigation from using pirated software is very real. When products are obtained from alternative sources at a price that simply sounds too good, it probably is. The only way to ensure peace of mind is to either buy a legitimate license from Design Data or a valid distributor, or call us if you have any concerns or suspicions. Design Data has formed its own investigative audit team at the request of many customers who are tired of competing with those companies whose overhead is drastically reduced by using unlicensed software. Not only does the use of unlicensed software impact Design Data, it's breaking the backs of legitimate customers who are just as sick of unauthorized use as we are. Design Data is currently conducting audits at suspected sites and, in some cases, we have requested a self-audit report when the strength of our investigation produces overwhelming evidence. A cooperative effort is our first and recommended choice to stop unauthorized use and collect only what is owed to us. However, we all know that some will resist and risk the criminal or civil consequences. We are suing those who choose to run, hide or barricade themselves from the audits; thus far, we have filed one lawsuit but, at the same time, we have converted many sites from using unauthorized versions and collected back charges. When you do the right thing, success is eminent and Design Data is just one example of always striving to do the right thing for its customers and the industry. Support this effort by reporting unlicensed use. Encourage those who have chosen the wrong path to call us so that we can set their record straight.